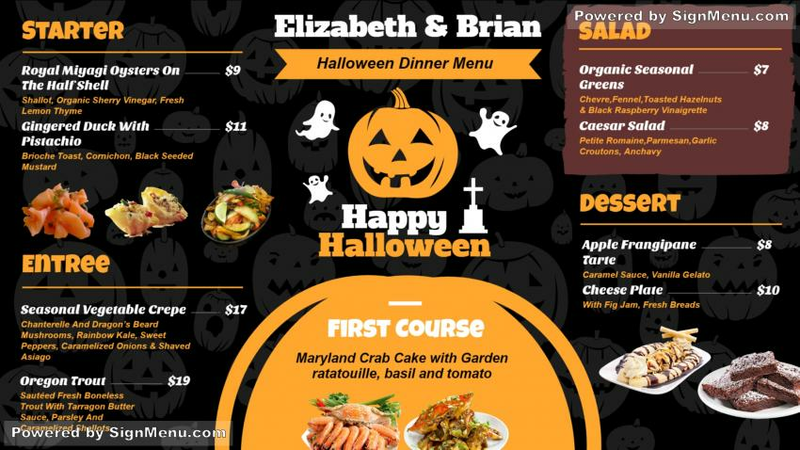 This template showcases a restaurant menu on the Halloween festival, The bold colors of black,yellow, white gives the menu elegance and sophistication, in addition to the ambiance of a festival . You can download this template for editing. And when you place this template on a digital screen the effect and impact will be stupendous. You will see your business growing in a short span of time.